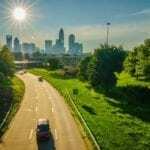 Thinking about relocating to the Queen City? While the tree lined streets, stately homes, and sweet southern charm are certainly excellent reasons to settle in, the top notch school district is a major selling point for Charlotte. 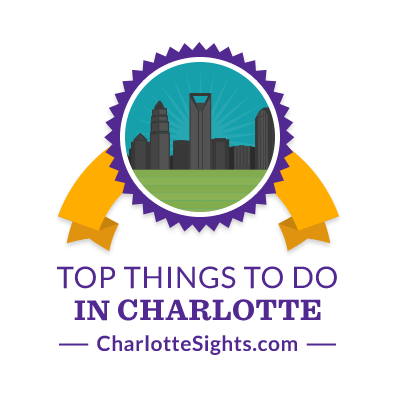 The Charlotte-Mecklenburg Schools (CMS) is one of the largest school districts in the nation, offering a wide variety of educational programs for students. These programs support more than 146,000 students from diverse backgrounds within 176 schools throughout Mecklenburg County. Providing more than 18,000 positions to teachers, support staff, and administrators, CMS is not only one of the largest school districts in Mecklenburg County, it’s also one of the largest employers in the county. Since 2010, the district’s cohort graduation rate rose from 69.9 percent in 2010 to 85.1% in 2018 according to the CMS 2017-2018 Preliminary End-of-Year-Results. CMS saw a rise in graduation rates at almost 90% in 2016 and 2017. The current graduation rate for CMS is consistent with other North Carolina large districts. In 2017-2018, CMS outperformed most other large districts in North Carolina, with a 51.4 percent performance composite based on the CMS preliminary end-of-year results. The district also saw the highest percentage of “A” grades since 2013-14 at 19 percent, 9 percent higher than in 2016-2017. “F” grades decreased from 11 percent in 2013-2014 to just 5 percent in 2016-2017, increasing again in 2017-2018 to 10 percent due to restructuring of the grading system. Ranked #1 of 1,478 best elementary schools in North Carolina, Providence is sure to produce some bright scholars! The school, serving K-5, is a 10-star school based on Carolina School Hub’s analysis and has an enrollment of approximately 936 students. Metrolina, an independent charter school, is ranked #2 of 299 best elementary schools in Charlotte and surrounding areas and #3 of 1,478 best elementary schools in North Carolina. Amongst many 10-star schools in the area, Metrolina scored an “A” by the state of North Carolina in math, reading, and overall letter grades. Another 10 star school, Polo Ridge has an enrollment of about 1,020 students K-5. The school is ranked #4 of 299 of the best elementary schools in Charlotte and surrounding areas, and #8 of the best elementary schools in North Carolina. Aside from these top ranked schools, CMS won the Broad Prize for Urban Education in September 2011 which recognizes districts who are simultaneously raising achievement and closing the achievement gap. The prize awards $550,000 in scholarship money and is the largest of its kind in the nation. In December 2005, CMS was the first urban district in the country to earn district-wide accreditation from Southern Association of Colleges and Schools and Council on Accreditation and School Improvement. CMS also has a rich history, dating back to 1882 when the district was segregated. The first school for African-American children was known as Myers Street School. From 1883 through 1913, Dr. Alexander Graham served as superintendent who developed a co-ed school and introduced drawing and music for students.